Hudson Valley Property Inspections llc, based in Saugerties, NY, will protect you throughout one of the final phases of the purchase of your home or property. 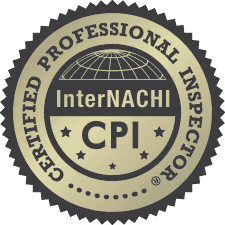 When you choose me as your home inspector, you can rest assured that protecting you and your interests will always be my main focus. 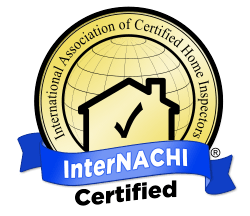 Why Choose Me to be Your Home Inspector? It’s simple, I treat you like family. Every home is inspected as if my son or daughter is the buyer. Hudson Valley Property Inspections LLC, is a Certified, Licensed NY State Home Inspection and Mold Assessment company based in Ulster County, the town of Saugerties, New York, and servicing the entire Hudson Valley and surrounding areas. While inspecting log homes in Windham and Catskill in Greene County, to century old majestic homes in Rhinebeck and Red Hook in Dutchess County, rest assured that principle Inspector / Assessor, Kevin Michaels of Hudson Valley Property Inspections will be well prepared and looking out for you. My years of experience and 1000+ inspections working on homes in the area, as well as the use of the latest technology, gives us an extra insight when inspecting the unique homes in areas like Kingston, Hunter Mountain, Windham and Woodstock. 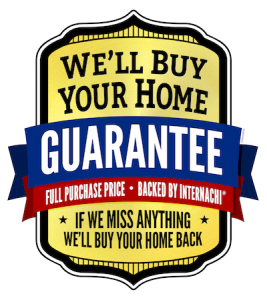 Buy Back Guarantee good on all homes Inspected after 12/8/17! I give a $25 discount to our Vets, Police, Firefighters and EMT’s ….. Always! …. Just ask, and Thank You! Hudson Valley Property Inspections is a qualified and reliable inspection agency with one simple goal in mind… protecting you during your real estate transaction by reporting the true condition of the home and ensuring that in the end, you have a healthy and safe home with no costly surprises. To avoid any perceived conflict of interest, Hudson Valley Property Inspections does not perform any corrective or repair work on the homes that we inspect. I am also not aligned or affiliated with any real estate companies or brokerage firms. 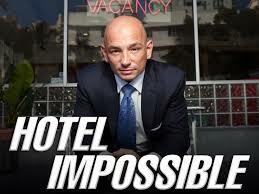 I understand a home buyer’s reluctance to use a local home inspector referred to them by a local real estate agent. For this reason, and as my schedule permits, Hudson Valley Property Inspections will gladly travel outside of our ‘normal’ service area, thus guaranteeing you an impartial and unbiased home inspection. Other areas served include, but are not limited to, Albany, Cairo and Coxsacki to the North, Poughkeepsie, Hyde Park and New Paltz to the South, Clinton Corners, Millbrook and Germantown to the East and Phoenicia, West Hurley and Ashokan to the West. 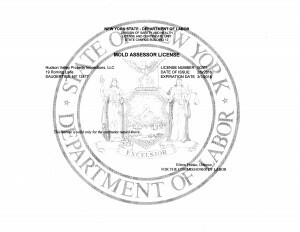 This law requires all mold assessors, remediation companies & workers be licensed by NY State. This law took effect on January 1, 2016. This law also requires the licensing of mold inspection. The mold “assessor” cannot work for the mold remediation company. The mold “assessor” must be independent of the mold remediation company. 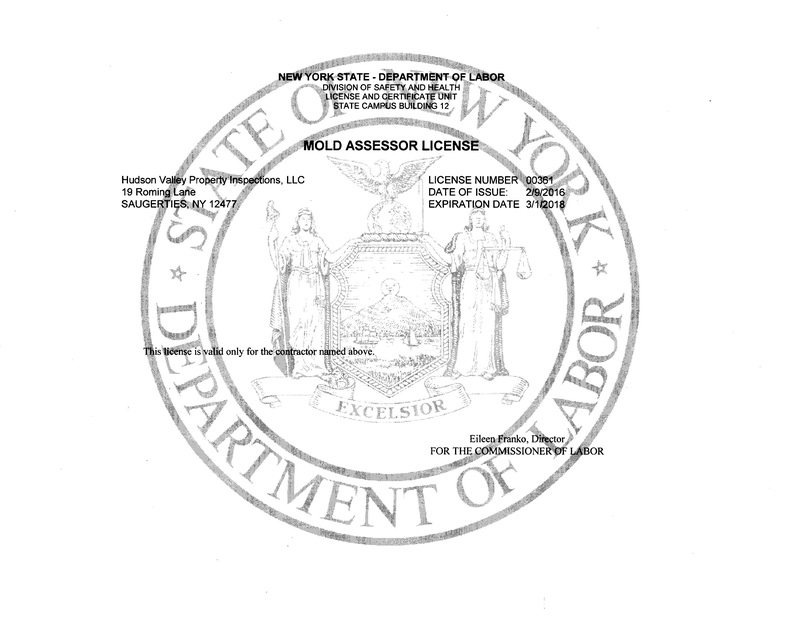 The mold assessor’s license was created by NY State in an effort to have an independent analysis of the suspected mold. It is also the responsibility of the mold assessor to “clear” the project and to determine if the mold has been properly re-mediated. 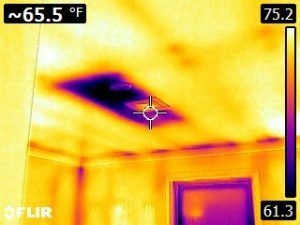 We are now providing Home Inspections and Mold Assessments in the towns of Cairo, Windham, Catskill and Jewett as well as commercial property inspections the cities of Kingston, New Paltz, Poughkeepsie and Rhinebeck.